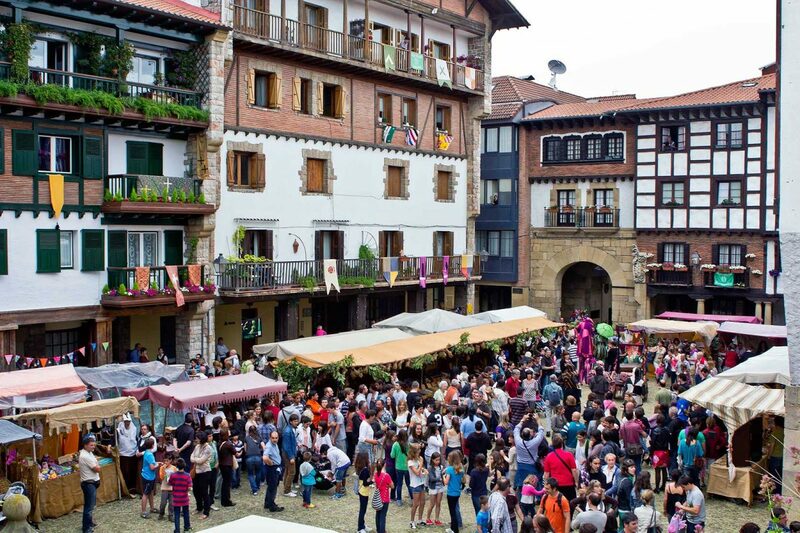 Every year, during the month of June, Hondarribia becomes a medieval city. From first hour of Saturday to the end of Sunday, the Historical Center returns to be what made in medieval times, a market place of vital importance, with all kinds of performances and exhibitions, craft stalls, food. Markets transformed Hondarribia in a dynamic community of craftsmen and merchants. Carpenters, blacksmiths, barrel-makers, goldsmiths, stone-cutters, are coming back in the medieval quarter for our enjoyment to share the knowledge and professionalism of those artisans. 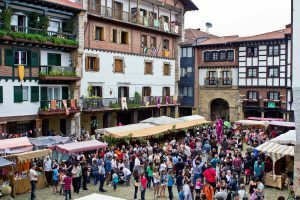 Tumblers, acrobats, jugglers, minstrels, are meeting in Hondarribia to recreate the market life in which will coexist, like in the past, Christian, Jewish and Arab cultures.